Renault is planning something big in India. Like so many International car makers coming into India, Renault’s putting big bets in the Indian car market. With the ongoing recession in the United States and Europe, car manufacturers are viewing India and of course China as emerging markets along with Brazil and Turkey where the possibilities of sales is much higher than compared to the US or in Europe currently. Renault’s entry into the car market saw its collaboration with Mahindra when several cars were launched with all bets on Logan to do well, but rather it did fail to capture Indian hearts and overall did poor in sales and fared badly. One of the reasons perhaps is Renault failing to reach an agreement with Mahindra in partnership and having not arrived at a final decision yet, but as only time can heal petty feuds like these, the companies shouldn’t stop undertaking new ventures, though it’s pretty evident that the same is going on now. Now, it’s definitely the right time for Renault to keep the past buried and look forward to launching 3 new cars into the car market in India, a market where all the biggies of car manufacturing are viewing as an emerging market. Len Curran, company’s senior official, said Renault’s planning to introduce 3 new cars here sometime in the beginning of next year. The cars to hit the roads are Duster, a mini SUV; a midsized car and a sedan. 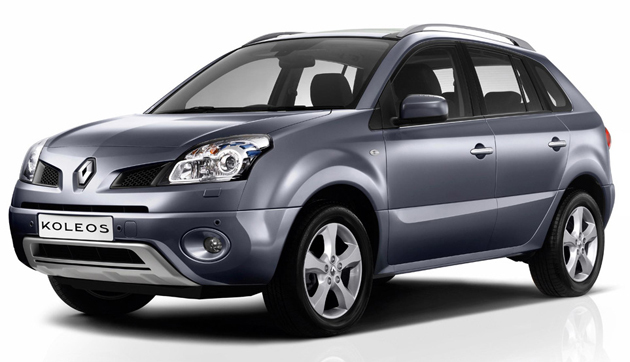 In the meantime, the Koleos which is likely to debut into the market may catch people’s attention. Priced at 22.94 lakhs, it’s an easy option for car enthusiasts who believe in great engines and classy interiors. Curran had earlier told Renault would be launching the Koleos in Kerala as they feel people in Kerala have more cars when compared to other States. They also plan to open dealerships and hope the Koleos would be received well in Kerala.